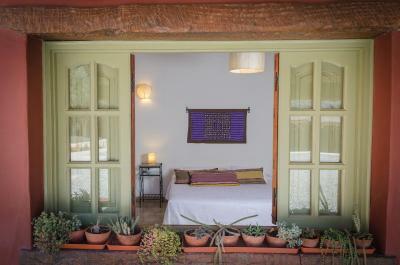 Lock in a great price for Posta de Purmamarca – rated 9.3 by recent guests! This place was great and I would stay there again. The location was great, the staff was very helpful. The comfort and cleanelyness were good. Food was a bit mediocre and I missed some little supplements found in some other places (just soaps in the bathroom). Very good and perfectly efficient place, but it lack a bit of charm, in my opinion. Everything was as expected. 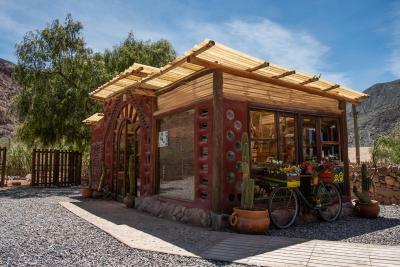 The “hostal” itself is located in front of the Cerro de los 7 colores, so the view is amazing. 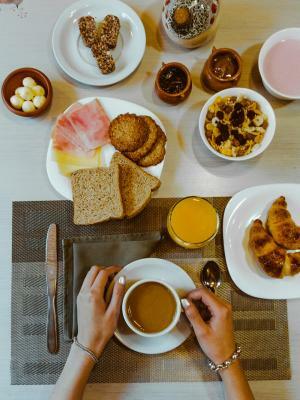 The breakfast was delicious (I recommend trying the oat meal and chocolate nougat) and the staff was really helpful, providing information about where to go and where to eat. It’s not very cheap but it’s worth it. The location was great. Though you can't see the hills from the rooms you can see them when you stood in front of the hotel or in the garden area behind it. 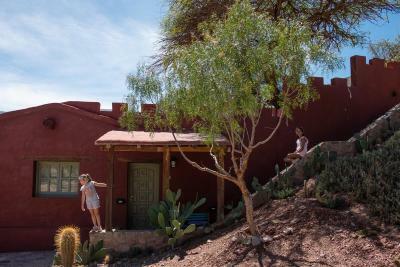 The staff were very friendly and even though we spoke very little spanish and they spoke very little english we were able to communicate well enough. We were given a map on arrival and an explanation of what was around that was very helpful. The breakfast was good and (!!!) they offered gluten free option which was amazing and not something I had expected in that area! We stayed there a night. The location was great. Just 5 mins walk to the main square and a 5 mins walk to the hill with a lookout point. The hotel was away from the main hustle and bustle so it was nice and quiet. Overall a very comfortable stay. The staff only spoke Spanish but they tried their best with google translate. The staff were helpful and friendly. The accommodation was amazing. The surroundings were incredible. Loved the place. 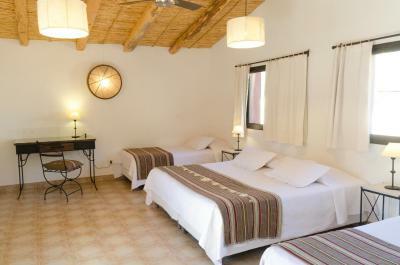 Beatufilly located hotel, very eco, friendly staff, clean, spacious room and bathroom, well designed. Pictures on booking don't lie. Very pleasant breakfast space. It's very close to the mirador (viewpoint) of 7 colors mountain. The hotel was excellent in every aspect. Staff very friendly and helpful. 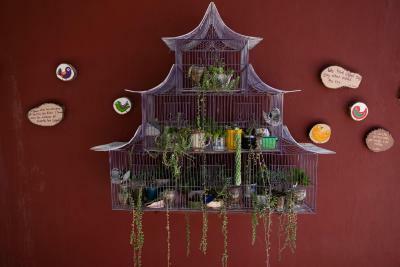 Attention to detail from the decoration, to the rooms and the public places. Very nice breakfast. The room was comfortable and very clean. 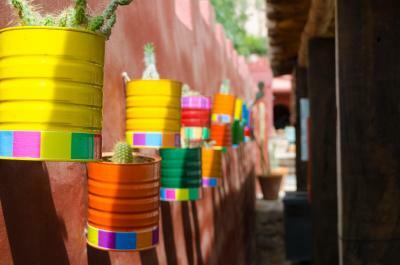 Really an excellent choice when in Purmamarca! 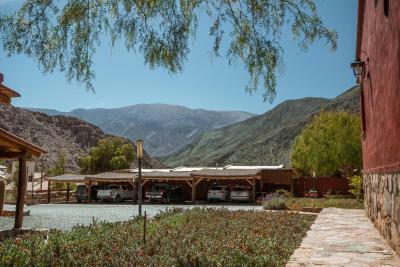 Posta de Purmamarca This rating is a reflection of how the property compares to the industry standard when it comes to price, facilities and services available. It's based on a self-evaluation by the property. Use this rating to help choose your stay! 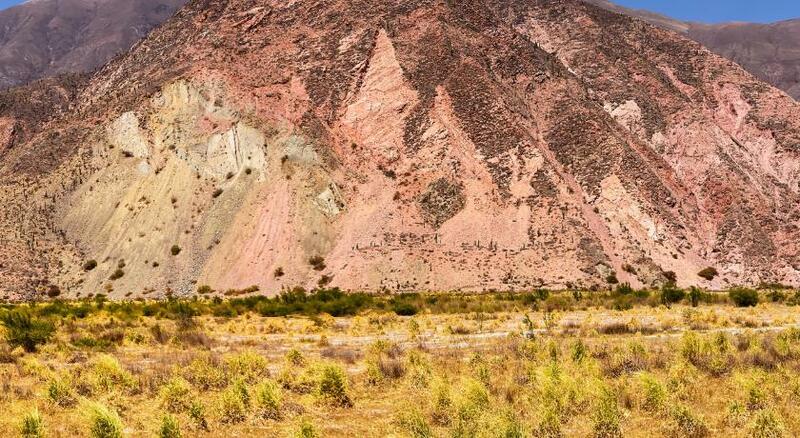 Located at the foot of the Seven Colors Mountain, Posta de Purmamarca features a free continental breakfast and free Wi-Fi, in Purmamarca. 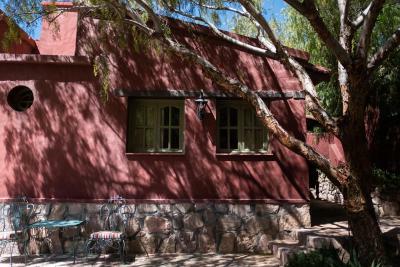 It lies only 4 blocks from Purmamarca’s main square, with direct access to the historic district and many tourist attractions. The bright rooms are spacious. Each comes with a private bathroom and central heating. 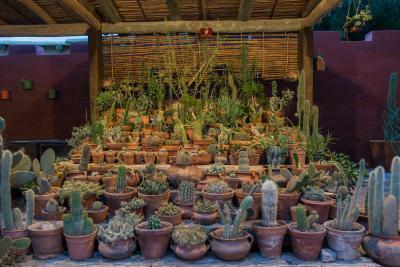 Guests can enjoy the cactus-dotted garden at Posta de Purmamarca, and there is a TV in the common area. A concierge service is provided. A laundry service is available and luggage storage is possible. 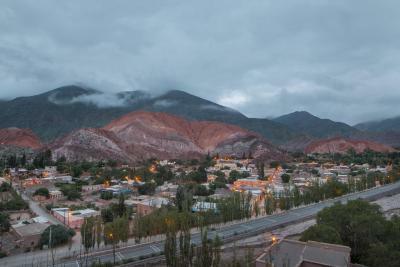 The city of San Salvador de Jujuy is 40 mi away. Gobernador Horacio Guzmán International Airport in Jujuy is located 58 mi from Posta de Purmamarca. 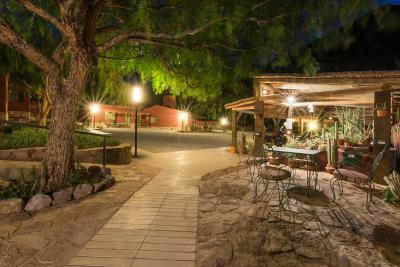 This property promotes the principles of sustainable tourism, in compliance with current local legislation. 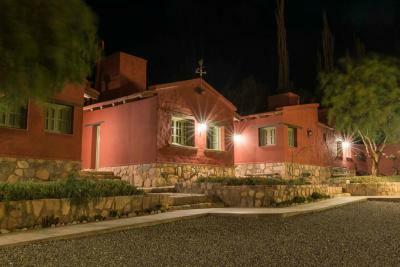 This property also has one of the top-rated locations in Purmamarca! Guests are happier about it compared to other properties in the area. 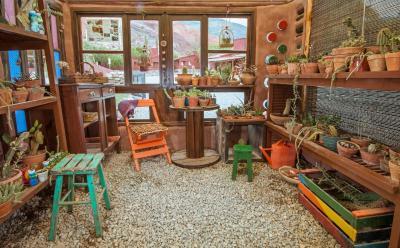 This property is also rated for the best value in Purmamarca! Guests are getting more for their money when compared to other properties in this city. 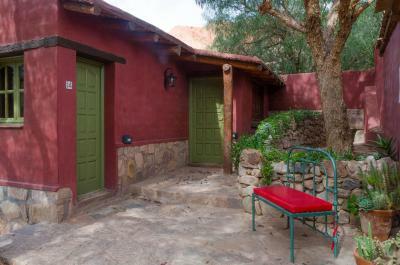 When would you like to stay at Posta de Purmamarca? 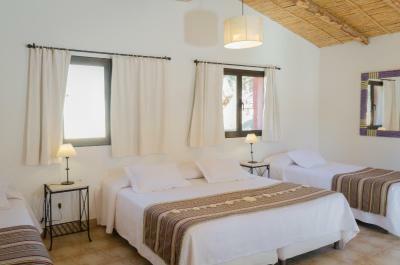 This larger double room comes with 1 king-size bed, flat-screen TV and private bathroom. 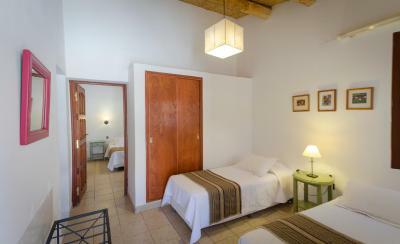 This double room comes with 1 double bed and private bathroom. Our mission is to provide distinctive and high quality service following a program of Corporate Social Responsibility based on the commitment to respecting the architectural and cultural heritage, the support to community development, the protection of our environment and the good business practices. 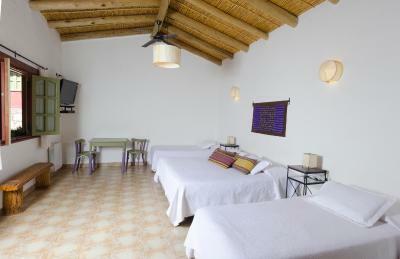 House Rules Posta de Purmamarca takes special requests – add in the next step! 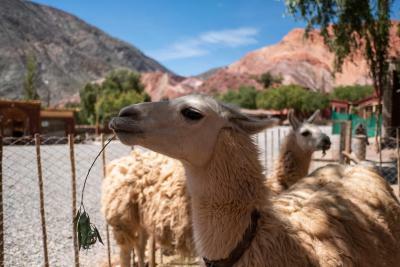 Posta de Purmamarca accepts these cards and reserves the right to temporarily hold an amount prior to arrival. The position of our room (no. 1). We arrived at 4am after a car accident in the Salinas that left us exhausted so we asked for a late check out to rest a bit, it wasn't posible. The morning staff was a bit slow, the afternoon lady much better. Location is perfect, very nice decor and style. The bed was a bit small for tall people like us. the prices for a single room are to high. such a nice place to be. 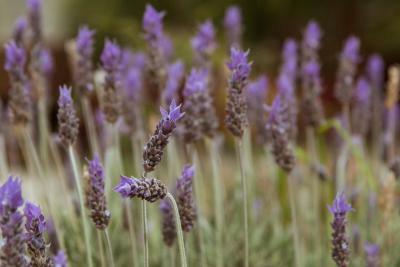 also the garden is quiet relaxing...just to enjoy this small place on earth. For the price paid, which is not small at all, the quality of the towels was terrible and tgere was no complimentary water in the room. The WI-FI was terrible in our room. The location is fantastic, the view when you wake up in the morning is great. The breakfast is tasty and the rooms are very nice and big. 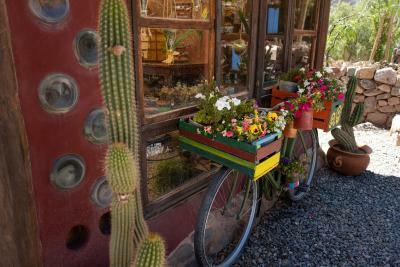 As you are in the very heart of Purmamarca shops and restaurants are all within walking distance. Don't miss the llamas in the parking!! !